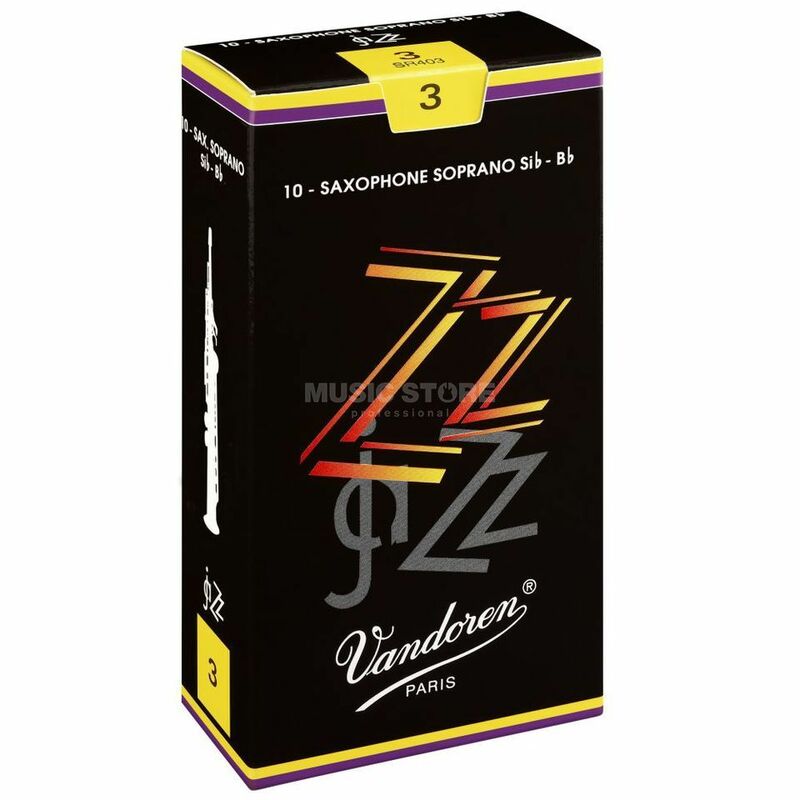 The Vandoren ZZ Soprano Saxophone Reeds Strength 2.0 Box Of 10 is a box of 10 Soprano Saxophone Reeds, with a strength of 2.0. Developed in 2002, the ZZ jazz reed is immediately responsive without sacrificing the brightness or tone quality required for this style of music. The unique relationship between the heart and tip provides extraordinary colour, great response and a durable life. ZZ reeds combine the medium-thick heart, spine, and rounded tip of the V16 with the flexible palette design of the JAVA, giving the player a rich, colourful sound with quick response.